Erected 1958 by the American Legion. Location. 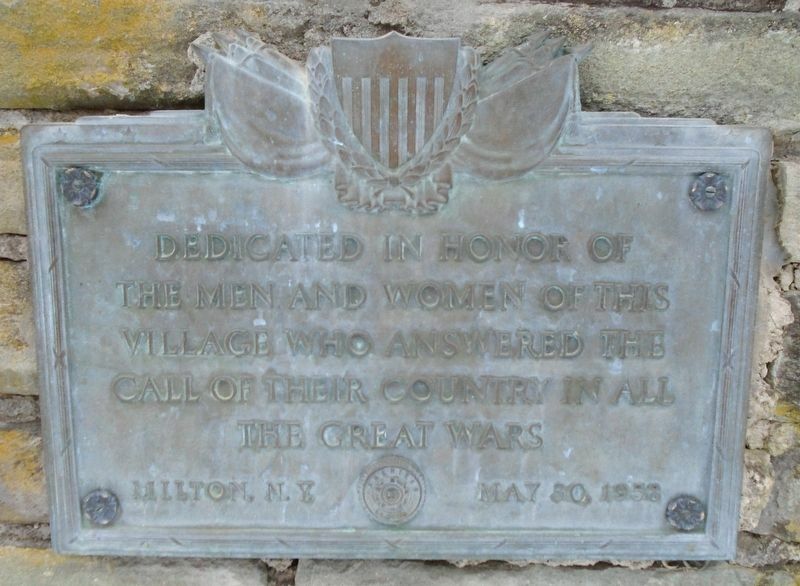 41° 39.561′ N, 73° 57.477′ W. Marker is in Milton, New York, in Ulster County. Marker is on Main Street east of Milton Turnpike (County Route 10), on the right when traveling east. Touch for map. Monument is on the Hallock Free Library grounds. 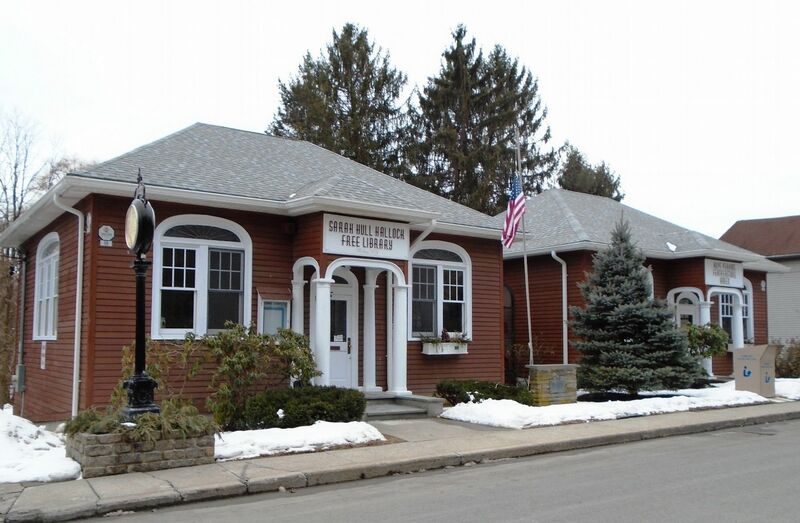 Marker is at or near this postal address: 56 Main Street, Milton NY 12547, United States of America. Touch for directions. Other nearby markers. At least 8 other markers are within 4 miles of this marker, measured as the crow flies. Speck Zyn Kill (approx. 1.4 miles away); Uppuqui-ipis-ing (approx. 2 miles away); Soldiers Memorial Fountain (approx. 3.1 miles away); Victor C. Waryas Memorial Park (approx. 3.3 miles away); River That Flows Both Ways (approx. 3.4 miles away); On This Site (approx. 3.4 miles away); Poughkeepsie Civil War Memorial (approx. 3.4 miles away); In Affectionate Memory (approx. 3.4 miles away). Credits. This page was last revised on March 3, 2019. This page originally submitted on March 3, 2019, by William Fischer, Jr. of Scranton, Pennsylvania. This page has been viewed 40 times since then. Photos: 1, 2. submitted on March 3, 2019, by William Fischer, Jr. of Scranton, Pennsylvania.